We have seen how this financial-economic crisis has had a global effect on the economy and how it has affected all sectors, not escaping the automotive sector with falling sales worldwide, with factory closures and worker layoffs continuing . One of the multinationals concerned has been the almighty U.S. General Motors to liquidity problems, the accumulated losses and debts to acreddores, has been called to reduce its size, having to sell some of the subsidiary that owns and is the case of the German manufacturer Opel. 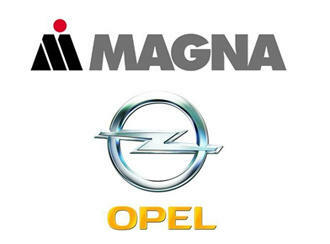 Thus, after tripartite negotiations between General Motors, the German government and stakeholders at Opel, the U.S. multinational has reached an agreement with the consortium formed by the Austrian-Canadian company Magna along with Sbernbank Russian entity to sell a 55% Opel to be shared equally, keeping General Motors at 35% and the remaining 10% will go to the 50,000 workers he has the German manufacturer. It was unclear the economic terms of the transaction but what has transpired is the new owners carried out a restructuring plan by which fired thousands of workers and it will not touch the plants operating in Germany, the plant Figueruelas in Zaragoza, the largest in Europe can be seen as reducing its workforce by 1,700 employees.